Teenagers! Just the word teenagers makes me all tense and nervous! 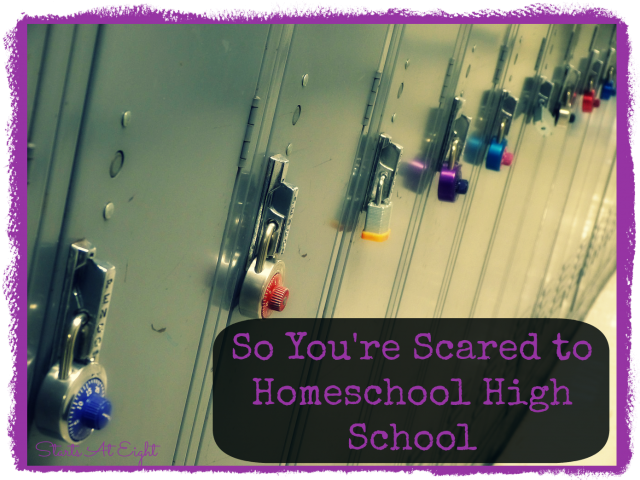 Then add the fact that I have taken on the responsibility of homeschooling teenagers and you have one nervous mama! How do I do it? I started by taking a deep breath and then I navigate one day at a time. 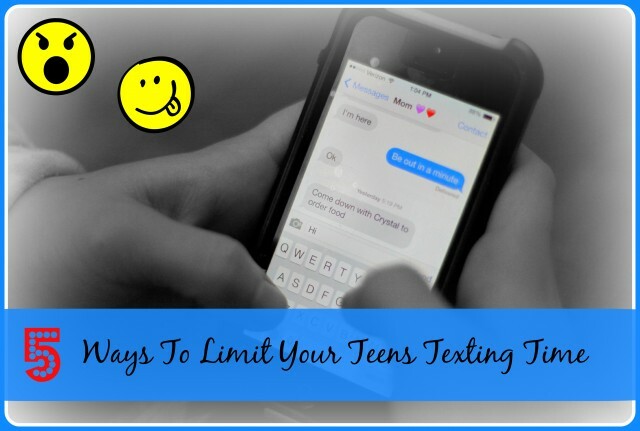 Here are some of the things I have learned on my journey with my teenager. 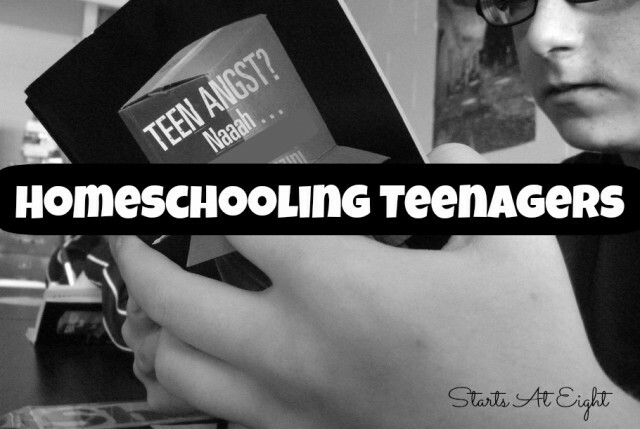 When I think about homeschooling teenagers, the journey seems two-fold to me. The first thing needed when homeschooling teenagers is pretty obvious, you need academics. They are going to require things like math skills, science competency, knowledge of history, and the ability to write a clear and concise paper. The second might not be so obvious. The second thing is character building/life skills. If you have a teen who is not working towards accountability, and self-motivation, then you have a teen who will struggle with accomplishing their academics. The two things work hand in hand. The number one reason why I do this is because I am traveling down this journey of raising and homeschooling a teenager. This is my first go around and I am learning as I go. As I travel this path I have been sharing the things that have been working, or not working for us in an effort to help others that are or will be traveling down this path. Sometimes it is just good to know you are not the only one, and sometimes we might just learn something from each other! The things I share might be in the form of product reviews like Dual Credit at Home, North Star Geography, or Teaching Textbooks. (There are many more that you can find by using the Reviews Category) These are all programs we have used or are currently using ourselves and I have taken the time to tell you all about our experiences with them. 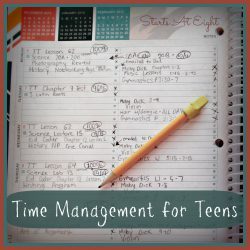 I have spent the past year or more really working on Time Management and Accountability with my teen. We have set up systems using our white board chore chart, her 4 Year High School Planner, and Homeschool Tracker. Another major hurdle when homeschooling teens pertains to finding and choosing high school electives. 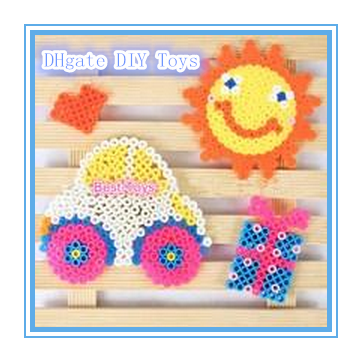 This is something we spent extensive time on during our teens eight grade year. 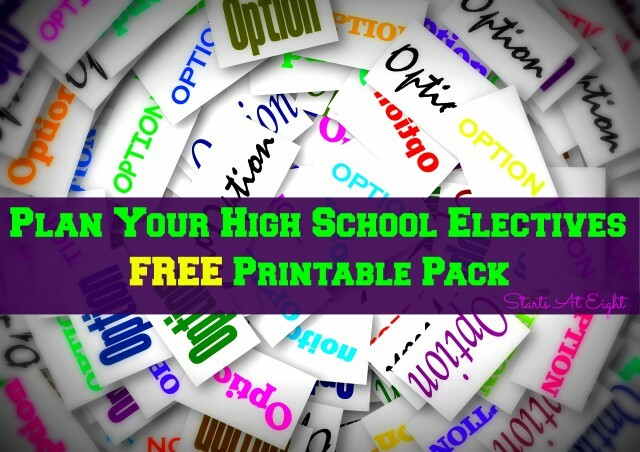 I have created a Plan Your High School Electives FREE Printable Pack to help you with ideas for electives, and to help you and your teen narrow down the choices to the ones that are best suited for your teen. 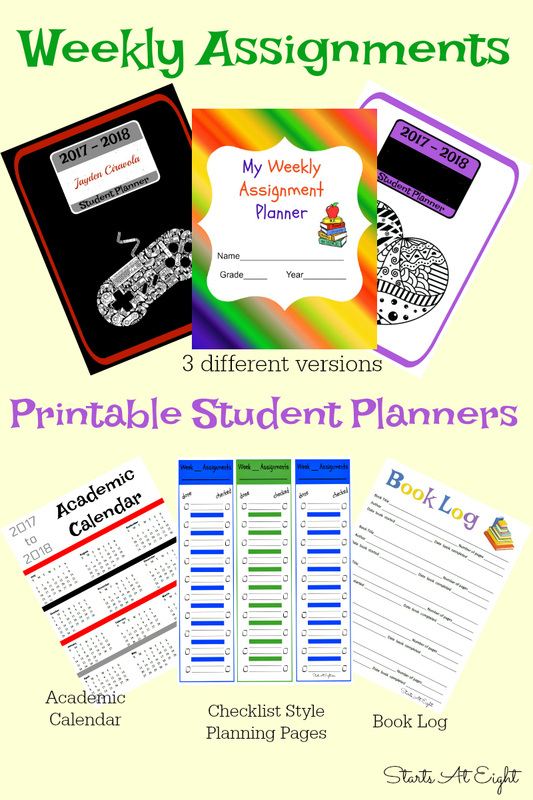 Each of these resources has played a big part in our process of helping her to gain skills like creating and following a schedule, learning to adjust and flex when the schedule doesn’t go as planned, and holding herself accountable to the tasks she has set for herself. 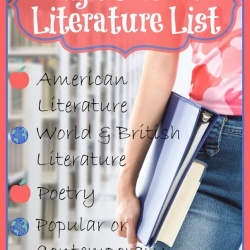 To get more information about homeschooling teenagers check out my Pinterest Help for Homeschooling High School where you will find 5 of my most popular Pinterest Boards on these topics. Not surprisingly, the two chapters I wrote are called Making Tweens and Teens More Independent Learners and High School Literature. In each chapter I include tips and tricks to guide you during your journey of helping your teen grow into a more independent, self-confident person with the skills and knowledge to navigate their own lives. Get these two chapters, plus information on over 100 other topics from 55 other homeschool moms for a great deal until November 10th! 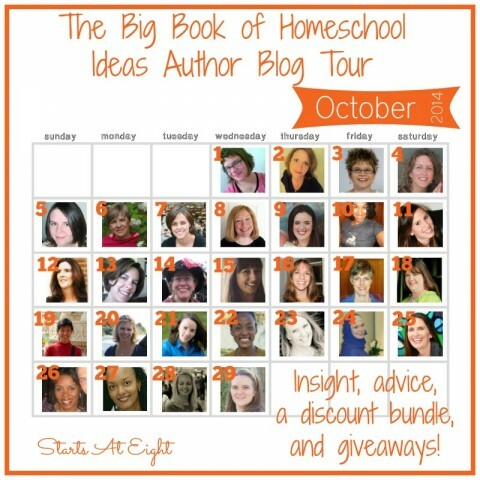 Don’t miss The Big Book of Homeschooling Ideas author blog tour! Yesterday on the tour, October 19 – Adelien Tandian from Blessed Learners. Author of the chapters How to Start Research With Your Logic Stage Kids. 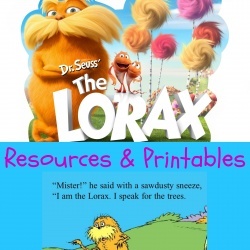 Adelien will be giving away Basic Science Notebooking Pages and Graphic Organizers. Coming up tomorrow, October 21 – Dianna Kennedy from The Kennedy Adventures. 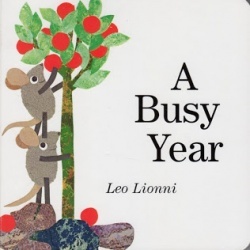 Author of the chapters Keeping Babies and Toddlers Occupied While Homeschooling, Managing Extra Curricular Activities and Homeschooling, and Homeschooling While Pregnant. Dianna will be giving away a $25 Amazon gift card. I wohld love to win this! Thanks for the giveaway! We are big planner users and I’m always searching for the perfect system. 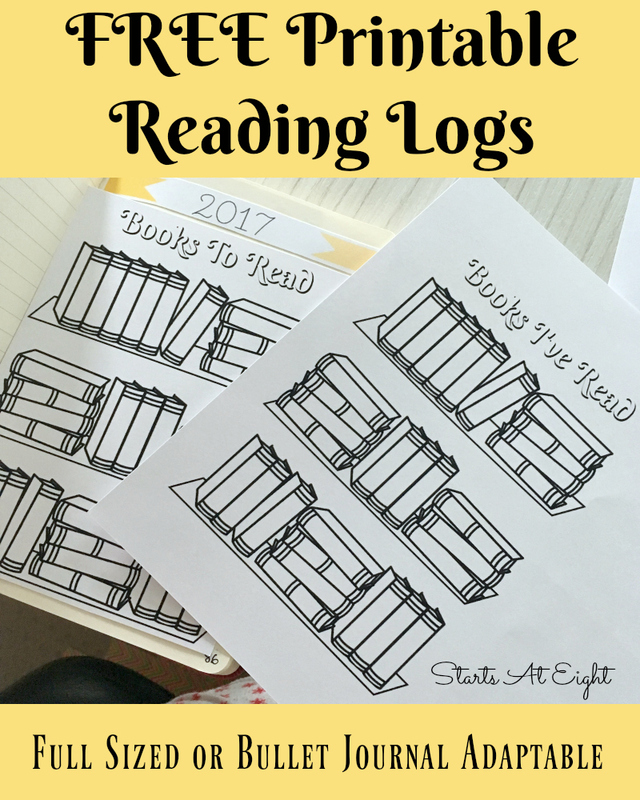 We are in our first highschool homeschool year! We have never used a planner before, but I can see the desperate need for it now! I really need a great planner! Thanks for the giveaway! I love this giveaway. 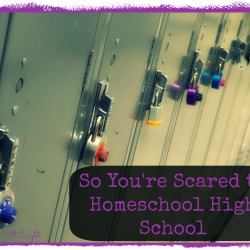 And as a mom of twin teens that has basically badly unschooled…so am starting to panic. Very comprehensive and helpful post! I’ll be homeschooling my oldest for high school starting next year! I need to work on having my teen be more independent. Thank you! 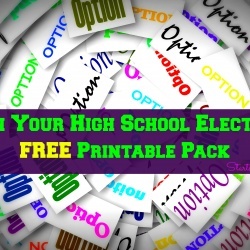 Great Giveaway and information about homeschooling during the high school years! Thanks for sharing! Our oldest daughter will be in high school next year so I’m already reading up on homeschooling a teenager. Thanks for great information and encouragement! I love this planner! Thanks for the giveaway. I just came across this post and will definitely look into getting this book myself now!